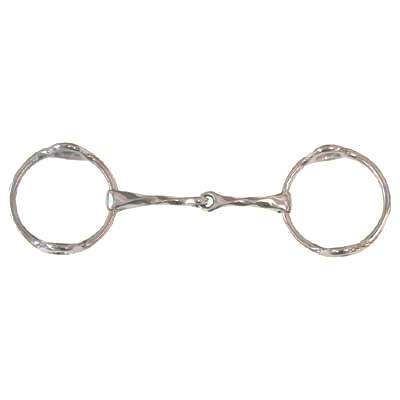 We offer Horse Gag Bits and many other premium quality equine bits. The size of this bit is 3'' in rings and 14mm mouth. This Slow Twist Gag Bit that we offer is one of our best selling bits available.. This Gag Bit was engineered to last for many years to come and rest assured you are buying superior quality horse tack products here at Horse Tack Now. If you are in need of Slow Twist Gag Bits this item is exactly what you need. We only offer the best horse bits for your horses at unbeatable prices. View the product image above and check out the precise details and craftsmanship put into this remarkably durable gag bit.